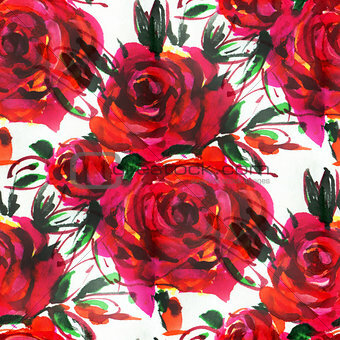 Image Description: Seamless pattern with red roses. Hand-drawn illustration. Watercolor.